The kids of New Directions travel from Lima to New York City to compete in Nationals. While in the Big Apple, they take in all of the sights from Times Square to Broadway to Central Park. Well, I am shocked to say I thought it was great! Although I think I'm blinded by love because THEY WERE ON THE WICKED SET!!!!!!! I could even look past my hatred for Kurt's voice. The only thing I was thinking about the entire time was that Time Square is never that empty. But other than that, did you like it? Meh, I thought it was an okay episode; nothing compared to last year's finale. I guess it was finally nice to see them at Nationals, but the episode felt rather dragged out and boring. * Goolsby, learned how to be an enjoyable jerk. * Rachel made up with Sunshine. * Finnchel as a whole. I enjoyed it when they were together, but since the break up, all of their scenes together have been so...ugh. * Hardly any romance drama. * Pretty much everyone got a fair amount of screen time. * Rachel and Kurt's promise and duo. * Mercedes' blank stare face during Vocal Adrenaline's performance. * New Directions did not place. They haven't yet earned such a right in my eyes. But as said, this only means they will definitely win come next year. * The lack of Sue. * Brittany and Santana's scene at the end of the episode (though it was kind of sweet). If you want to be with Santana, then just be with her, and let Artie down already. He's being such a tool and he knows it! * The Warblers; didn't they tie with New Directions at Regionals? Shouldn't they have been at Nationals then? * Original songs. While I end up liking the serious original songs, they're just no competition for real songs. Preferably epic songs for such an occasion. * The lack of resolution to Karofsky's arc. It feels like that should've been a season-contained story that deserved a wrap up by the finale. * The lack of follow-up on Rhodes and Will staying in New York for some time to support her. * The lack of development for Vocal Adrenaline. * The point of Sunshine's storyline. * Will's cockiness whenever someone shows him up (Goolsby, for example). 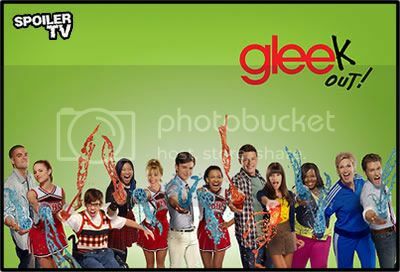 * Beiste's long period of absence. * The fact that it really didn't feel like the end of the year. The Warblers; didn't they tie with New Directions at Regionals? Shouldn't they have been at Nationals then? They tied at sectionals, but they lost at Regionals. I thought it was okay. It wasn't bad but it didn't grab my attention like a season finale should. SLJCOAAATR wrote: * Mercedes' blank stare face during Vocal Adrenaline's performance. I liked the episode! Although I think the Regional's original songs were better than the National's ones! Joshua wrote: I'm blinded by love because THEY WERE ON THE WICKED SET!!!!!!! I think I too am blinded by the awesomeness that was the Wicked set, it was magical... literally. While there were certainly issues with this episode, I can't deny that I enjoyed it. So much fun was had by all, and drama, but we love a bit of drama. Sorry I may still be on a "Wicked" high. Is it nerdy that when that scene was on I walked up to the TV and pointed to where I was sitting in the theater when I saw Wicked?